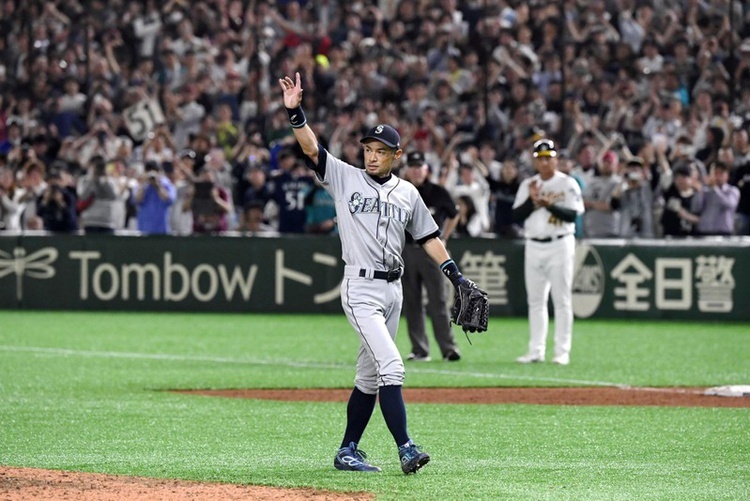 Tokyo, March 21, 2019 – Ichiro Suzuki, the most prolific hitter in baseball history and an icon on both sides of the Pacific, retired on Thursday as his fellow Seattle Mariners wept, bowed and hugged him in a Tokyo stadium rocking with cheers. His final at bat could hardly have been more typical – a ground ball out that he very nearly legged into an infield single with a full-bore sprint to first. The Mariners won 5-4 after three extra innings. Ichiro hit the ground running immediately in the MLB, winning the American League MVP in his first year. At a time of usually powerful and beefy sluggers, he was the opposite – wiry, skinny and perpetually in motion, always seeming to be two steps toward first base at the moment the ball left his bat.